Is your tyke always talking about their epic dreams, especially the ones about soaring through the skies, free of gravity, and exploring the stars above? Perhaps they want to do the real moonwalk or see if Matt Damon really knew what he was doing out on Mars? It is important to foster the ambitions of those kiddos and let them see there are all sorts of options and that, sometimes, not even the stars are the limits. 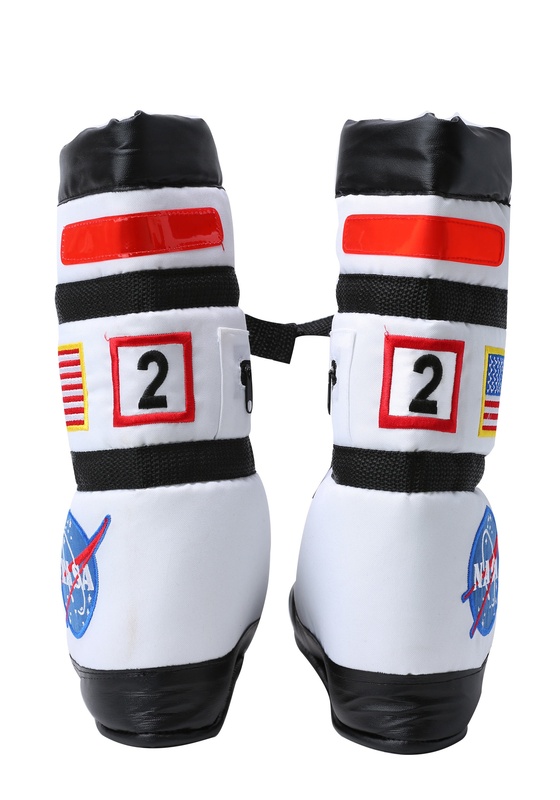 After all, one small step for a kiddo can still be one giant leap for kiddo-kind! 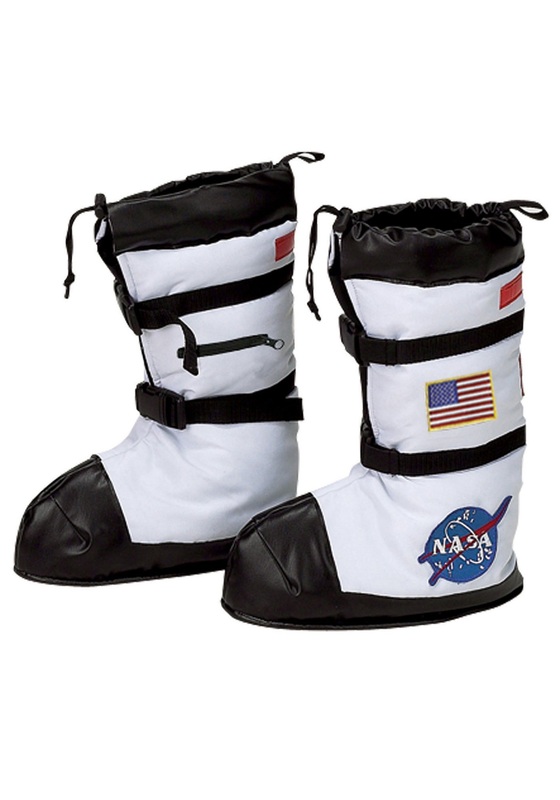 We can help you launch your tyke to the cosmos with this pair of Kids White Astronaut Boots. 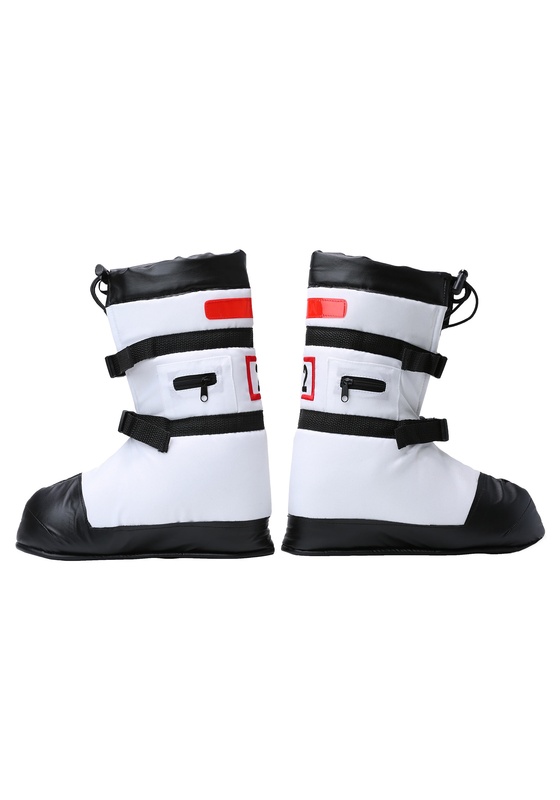 They’ll feel ready to jump boundless (or at least imagine they’ve activated their magnetic soles, in the mean time). 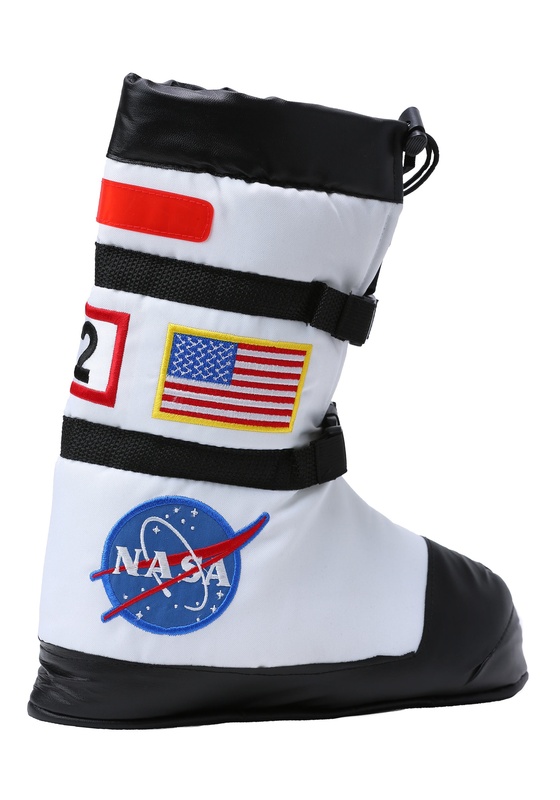 Start your interstellar missions with these polyester boot tops with two easy adjustable bands tied with parachute buckles, featuring the American flag and NASA logo. 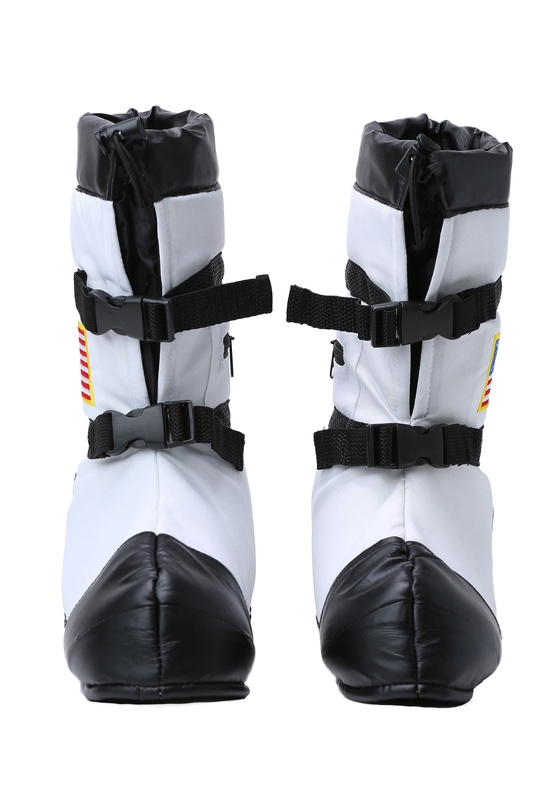 Combine these with an astronaut helmet, uniform, or even a sonic screwdriver, because who knows what sort of explorer your tyke is ready to be! ?